This work presents a new incremental-iterative method based on the boundary element method to solve 3D thermoelastic contact problems including a variable thermal contact resistance. The consideration of a variable thermal contact resistance implies that both thermal and thermoelastic problems are coupled since the variable thermal contact resistance is a function of the contact normal traction. 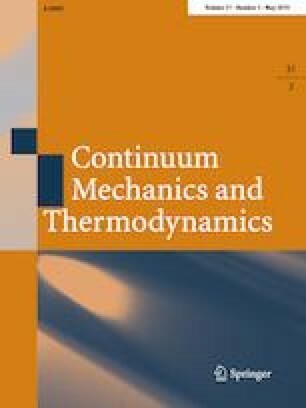 Thus the proposed method determines incrementally the equilibrium configuration of the system by solving the coupled thermal and thermoelastic problems. The correct value of the thermal resistance is obtained iteratively. The robustness and accuracy of the proposed method is shown by solving a numerical problem and comparing the results with other methods presented in the literature.